As you all know, I really love vino –– the social side and the geeky side. From a romantic perspective, I see each bottle as the opportunity to travel to that bottle’s origin without ever leaving the home. Each bottle has the potential to be a small adventure. I know not everyone see things quite so sentimentally, however, I do encourage everyone to drink a little more adventurously. Get out of your comfort zone in the new year! In this vein, I was so excited to collaborate with Jill Barth on 5 Tips For Discovering New Wines You'll Love for Forbes. 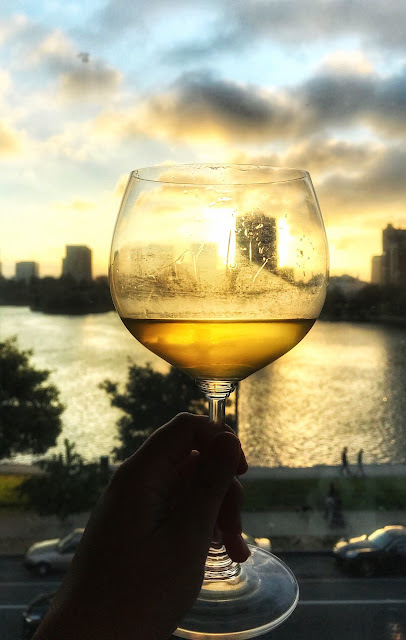 Jill and I are many of the same wine blogger group’s I participate in via Somms Table, and I was thrilled when she asked me to share some ideas for how wine lovers who want to venture out of their usual routine. Check her article for some ideas. I’ll add that while I love the classic regions of the world, reaching for a bottle from an unexpected region can have additional $$$ benefits. I find it’s often easier to find good wine values from lesser known areas–just find a good store to give steer you in the right direction.